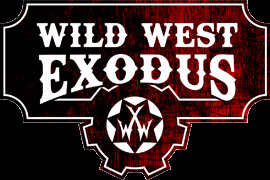 In these terms, “we” means WildWestExodus.com a Trading Name of Wayland Games Ltd (and “us” and “our” will be construed accordingly); and “you” means our customer or potential customer for products (and “your” will be construed accordingly). 8. You may not create a link to this website from another website or document without WildWestExodus.com a Trading Name of Wayland Games Ltd prior written consent. The advertising of products on our website constitutes an “invitation to treat”; and your order for products constitutes a contractual offer. No contract will come into force between you and WildWestExodus.com a Trading Name of Wayland Games Ltd unless and until we accept your order in accordance with the procedure detailed below. We will not file a copy of these terms of sale specifically in relation to your order. We may update the version of these terms of sale on the website from time to time, and we do not guarantee that the version you have agreed to will remain accessible. We, therefore, recommend that you download, print and retain a copy of these terms of sale for your records. Before you place your order, you will have the opportunity of identifying whether you have made any input errors by reviewing the order summary. You may correct those input errors before placing your order by clicking on “edit invoice address” for your personal details or editing the basket contents. We will use reasonable endeavours to deliver products on or before the date for delivery set out in our order confirmation or, if no date is set out in our order confirmation, within 5 days of the date of our order confirmation. However, we cannot guarantee delivery by the relevant date. We do however guarantee that unless there are exceptional circumstances all deliveries of products will be dispatched within 28 days of the later of receipt of payment and the date of our order confirmation. Suppliers occasionally withdraw products from sale and we, therefore, are unable to fulfil specific orders, in this case we will offer a refund or other alternative. Orders are charged in sterling and will be refunded in sterling. If you have made a payment in a foreign currency that has been converted into sterling this may result in you receiving a different amount in your local currency due to fluctuations in exchange rates. If you opt to take store credit instead this will be applied to your account in sterling. This is not a competition, registration takes place here. Registering qualifies you for two rulebooks: the Dystopian Wars softback Third Edition rulebook, and the New Edition of Armoured Clash, to be posted to your FLGS for you to collect, or your home address. Both rulebooks will be in English. Customers may only register once. Registering for your FREE rulebook will automatically add you to our Dystopian Wars Third Edition mailing list so we can keep you up-to-date with its progress, BETA testing, and more. Registering and sharing an image with Warcradle Studios allows us to use the image for marketing purposes. Reserves the right to amend these conditions at any time without notice.